+ Top menu is considered as key navigation on your website therefore shop owner can increase profits by changing the site menu. Because of maximum volume of information needed, your potential clients can see what they want with only click. 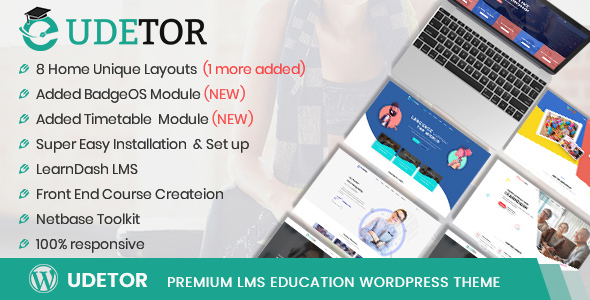 + Instead of spending much time and effort in coding and designing the menu manually, now there are a huge number of menu templates available for you to select. You can make your own style. + The default Magento menu system is basic and it lacks of advanced functions, that's why we initiate Mega Menu Magento extension which can help you simplify menu system management on your Magento website. + With this Magento Menu extension, you can display your categories and sub-categories in a multi-column drop down menu; show all products list by hovering over menu items make your customer find it very simple. Special, creating and editing menu items and menu bar with a lot of features seems never easier. 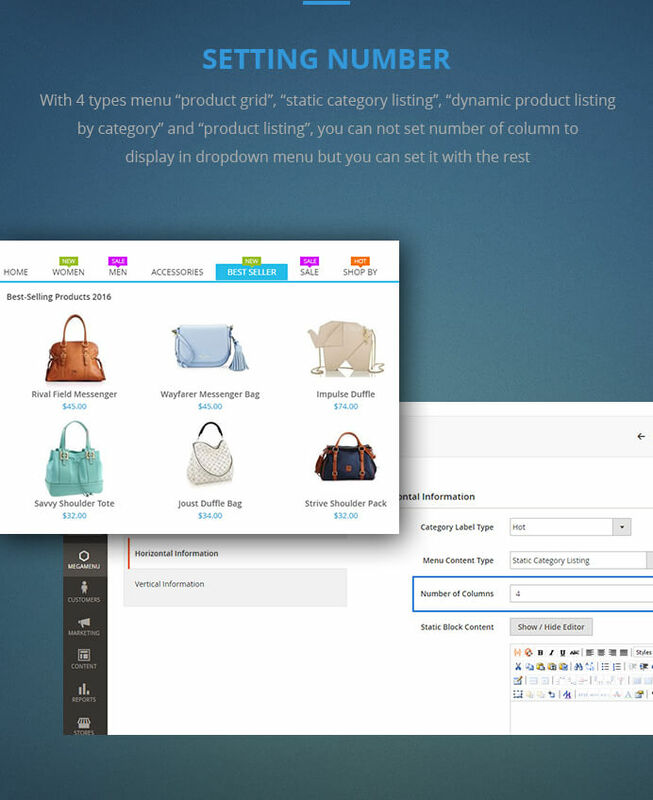 +Users can see all items of your catalogs products immediately and all information is available at the first sight. Save your huge time on shopping because users can find the information as soon as possible. + Both of shop owner and users who don't need to be become developer, still manage effortlessly all information which they want to display on mega menu. Step 2: Hover on menu to find product: With Style 1: horizontal mega menu, you hover over category in header to view all products of website and you can view special product and post in each category. With style 2: Vertical mega menu, you click on "All Category" and you hover over Category that you want to view. You will see special product and post in this category. That is too easy for your customers, right? 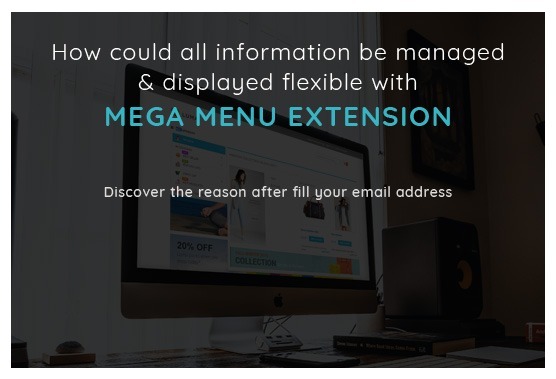 Just wait to see your sales volume increase every day after using Mega menu extension. Step 3. Add menu content type: In admin panel, go to MEGA MENU -> Manage Menu -> Click on button "Add New Mega menu". You choose category, position and menu content type to create a perfect mega menu for your website. Add to cart button in dropdown menu:With "default category listing" type, you can see some products and add this product to cart by "add to cart" button. 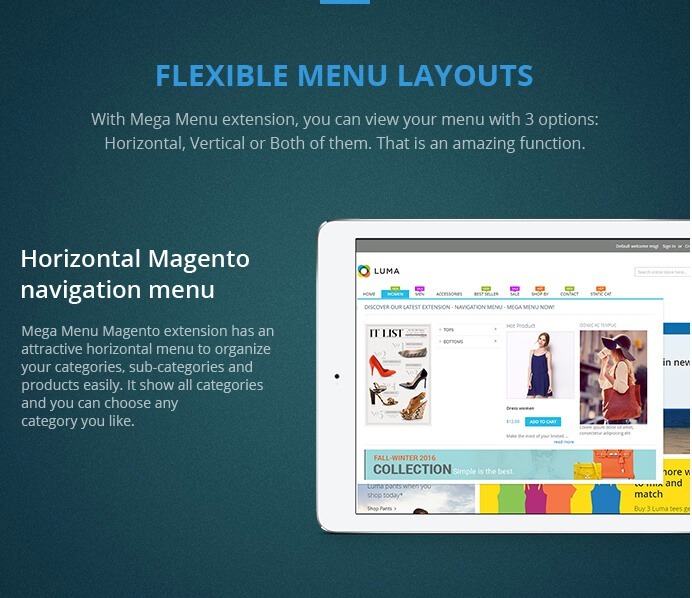 Purchased the Mega Menu extension for the latest version of Magento 2. Unfortunately, the extension was not working for the most recent version. However, Jason and his team worked diligently on the issue and brought the extension up to date. Working directly with me to resolve the issue and get us working again. After some hard work, Jason and Miracle provided excellent customer service and follow up on the issues. We are very satisfied with the job they did to make these updates and provide us with a great feature for our website. We look forward to using many more of their extensions in the future. Good quality, run as I expect! Should try! Thanks for helping me so much and for all your support. I bought your product for the strategy of optimizing web navigation. Personally, I recommend this extension, Don't miss this. I find myself satisfied with this extension. For me, it is a great invention for people using website like me. I got an excellent support from Victor. Now everything is okay. Evan and his team were very helpful and prompt with our issues we faced. Glad we bought this! This extension really helps us a lot to our website. Easy to use different style of menus. It didn't takes more time for scripting. Good extension! Thanks for CMSmart team, specially Victor for helping us to finish the site. Great and reliable support! Your team works like a charm. 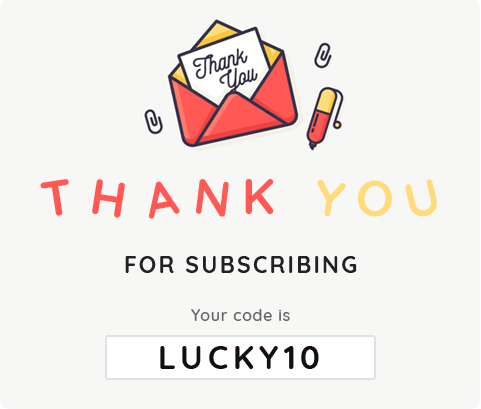 Great user fiendly Magento extension! Recommended! Magento 2 Mega Menu runs smooth with no bug. It's quite easy to change any image as I want. Although the menu on my site is quite a big mega menu but there is no decrease in website loading speed. It works so well. Multiple choices for menu styles impress me a lot! Thank you so much and good luck for your sale! I am very happy with this extension. It makes my site very clearly and helps my customers find the product quickly. Thanks team and I highly recommend this extension to everyone. 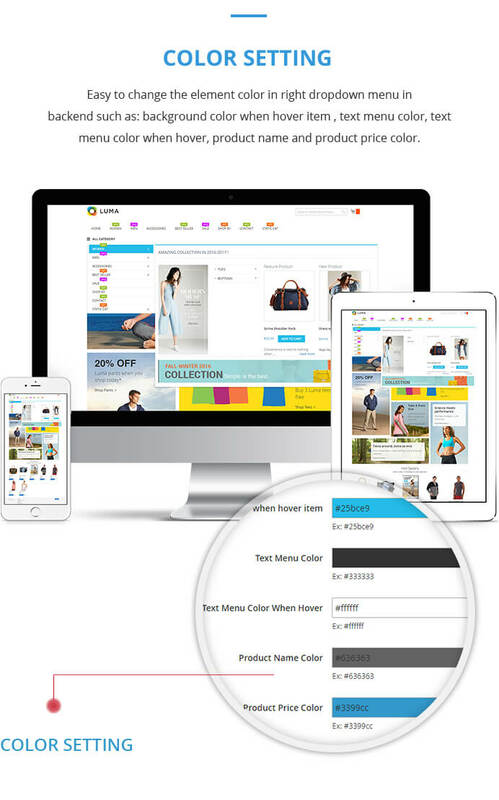 Nowadays, the e-commerce website is developing high-quality technology. Your website becomes more beautiful and attractive. Especially, category items must be clear and much useful information displayed in the best design. Main details of the product will be shown in the mega menu that stores the necessary detail of products so customers can look for suitable product quickly. To catch up with the current technology development trends, we have released Mega Menu for Magento 2 which is a powerful extension coming with a lot of outstanding features: 7 types of the mega menu that are responsive, easy to install and set the color, flexible optimize menu, … One of them, 7 types of the mega menu is one of the best special in this Mega Menu for Magento 2. Firstly, when you install Mega Menu for Magento 2 successfully, the website’s menu is displayed by default category listing. 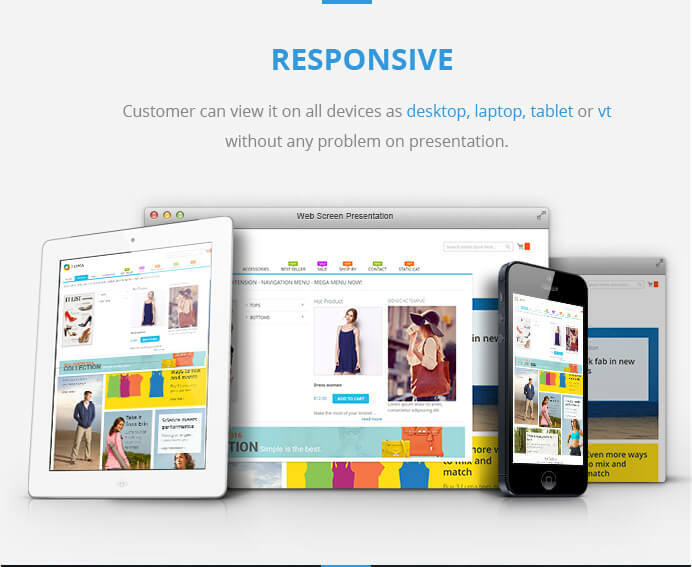 A category product is shown in the left of the website, it is responsive and displayed depending on screen size. Besides, there are many submenus with flexible options, so attractive to all users right at first sight. 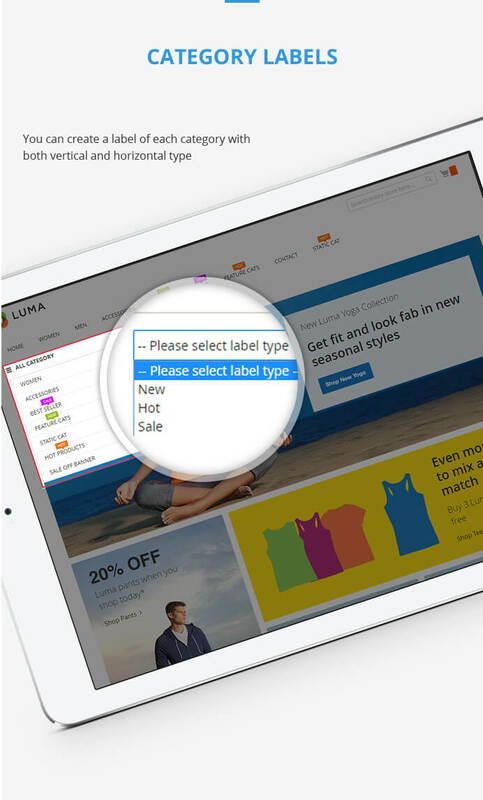 Secondly, dynamic category listing is the next option in Mega Menu for Magento 2. 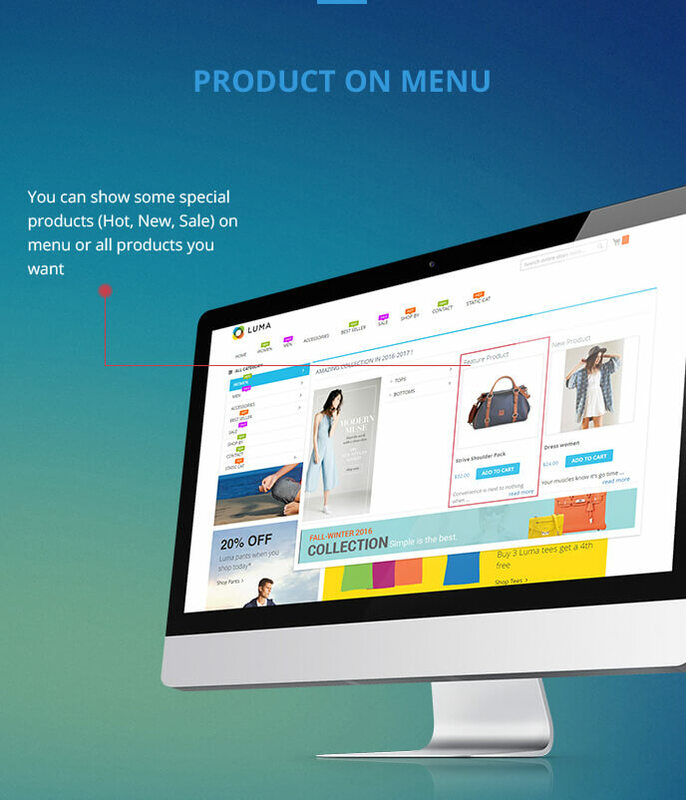 With technology development and creation, the menu in each e-commerce is very modern with images and description below. 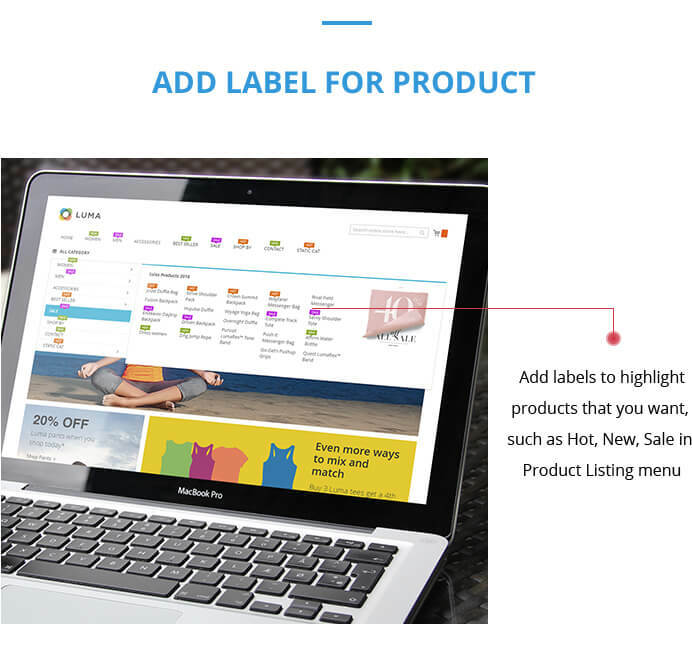 When a user hovers each item in the category, there are a listed product appears following horizontal with dynamic images to attract customer’s sight. 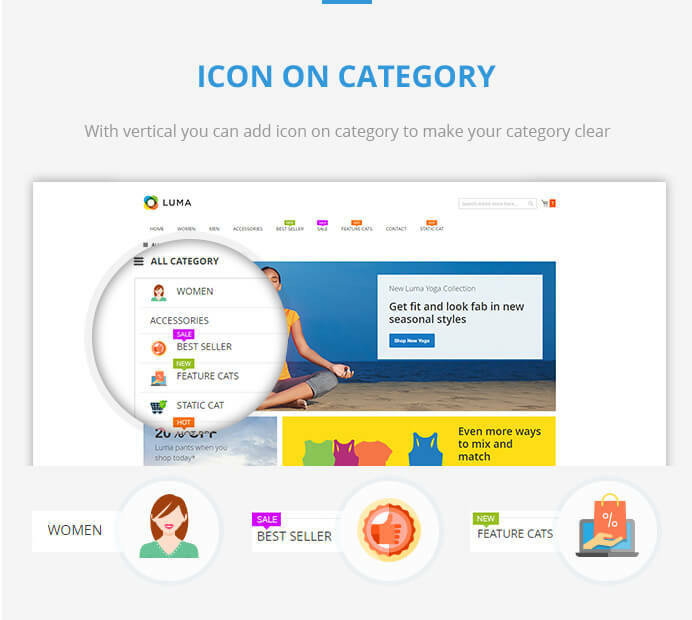 Static category listing is the third choice for your Mega Menu for Magento 2 version. With this option, the list of the product is listed on horizontal and many features of each item below. In this choice, no submenus for customer choose and all information of product will be displayed in this listing with images and color harmony. Fourthly, product grid choice is suitable for your website. With this choice, there is a list item of products are displayed in boxes with images, product’s information as well as price. They create a gird of products that depend on the arrangement of the shop owner, it will make your website more harmony and unique by Mega Menu for Magento 2. Product listing is one of the best options for your Mega Menu for Magento 2 and the fifth choice for you. Your products arranged in the main category to a small section in the direction from left to right. The items show the following columns. Not only buyers easily look for suitable product quickly, but also it makes them come back to your site many times. Besides product listing option, we are proud of introducing the sixth choice for your Mega Menu for Magento 2. It is a dynamic product listing by category, which is a special option for Magento 2 version. When you click mouse into each item, there is a list of product displays with images and information. Your customers will like your website with unique design and suitable arrangement of products. The last one is the content option that is very suitable for the special product if you want to inform amazing news to any customer. At here, the shop owner can introduce a good thing to buyers such as event, a special program with the sale. It spends a large place for you to make a description as well as anything of your product. This choice is very suitable for big news for customer and Magento 2 version. On any website, Top menu is the most essential function. There are categories of products and services as well as contact information on it. Do you know how long customers stay on web pages? Surprisingly, it’s only 10-20s on average (NNGroup, 2011). Therefore, a creative and scientific top menu is important to impress any customers. So, the main menu is the most important part of any website, especially an e-commerce website. It is expected to include all necessary information and steer the users to main pages on the website, more than that, all categories or content can be displayed easily by hover over. 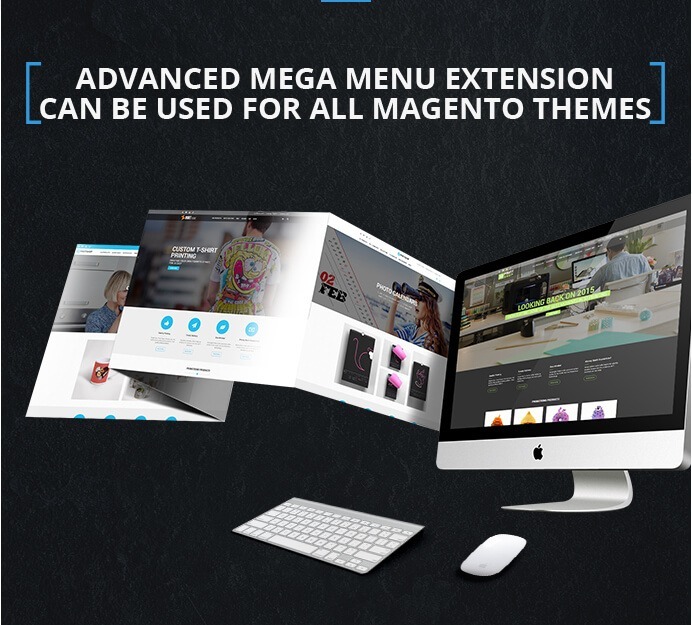 Firstly, our advanced mega menu extension can be used for all Magento themes, it will be integrated in an easy way with just some few clicks. 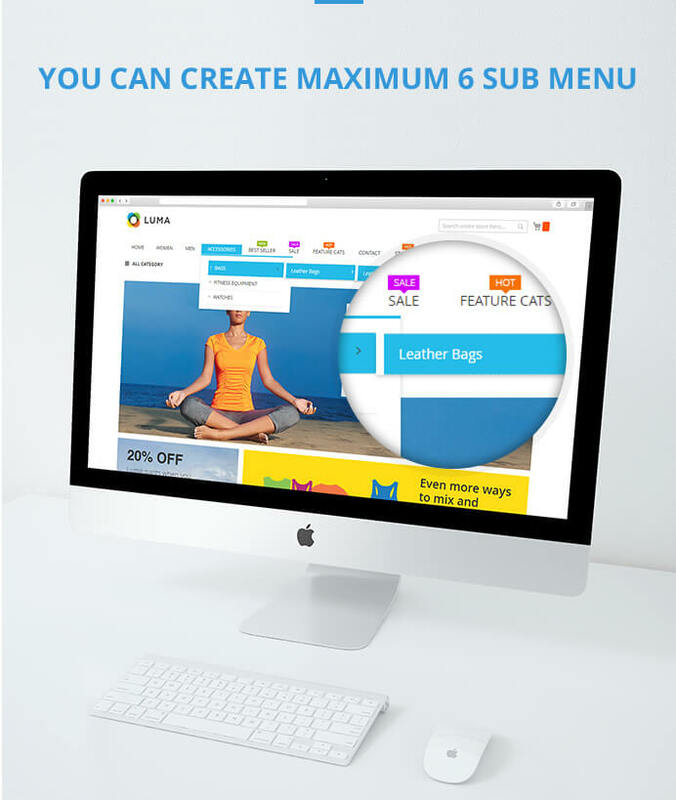 Flexible Menu Layouts. 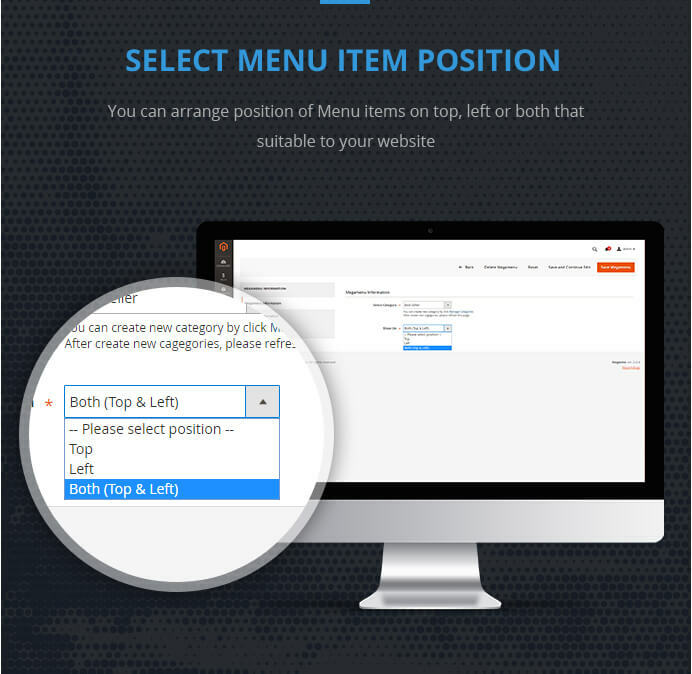 With our Mega menu for Magento 2, you can view your menu with 3 options: Horizontal, Vertical or both of them. 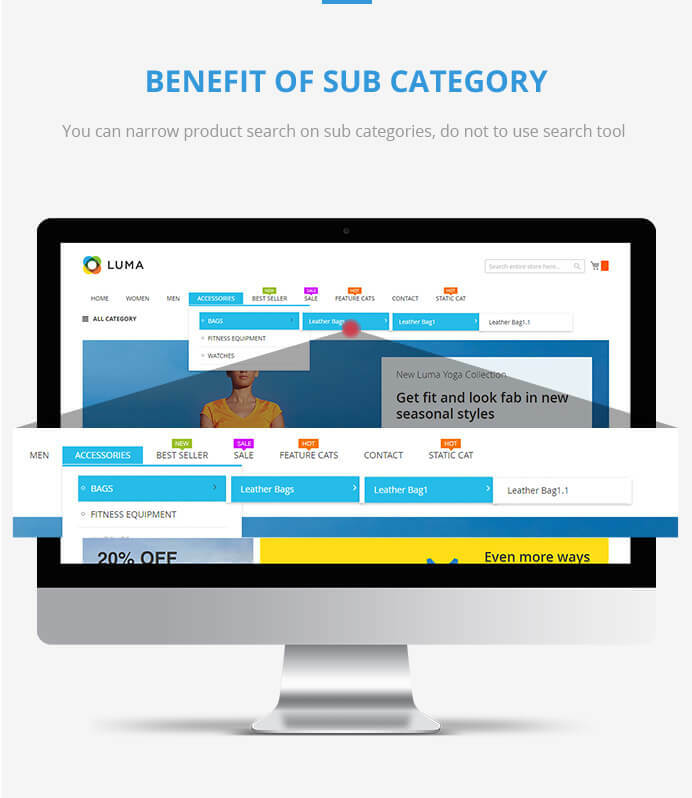 If you want horizontal style, our extension has an attractive horizontal menu to organize your categories, sub-categories with an easy way, it shows all categories and you can choose any category that you like. Besides, Vertical menu is a new function for the mega menu, categories name are hidden in the main menu that makes your site neat and clean. 7 types of mega menu. You can select 7 amazing types to present your menu content that makes your website more attractive in customers view: Default Category Listing, Dynamic Category Listing, Static Category Listing, Product Grid, Product Listing, Dynamic. Color setting. With this function, you can customize your website without technical knowledge. It gives you an easy way to change the element color in right dropdown menu in backends such as background color when hover item, text menu color, text menu color when hover, product name, and product price color. Responsive. Of course at this age our product is suitable for all devices, customers can view it on desktop, laptop, tablet or smartphones without any problem on presentation. Customize and optimize menu. 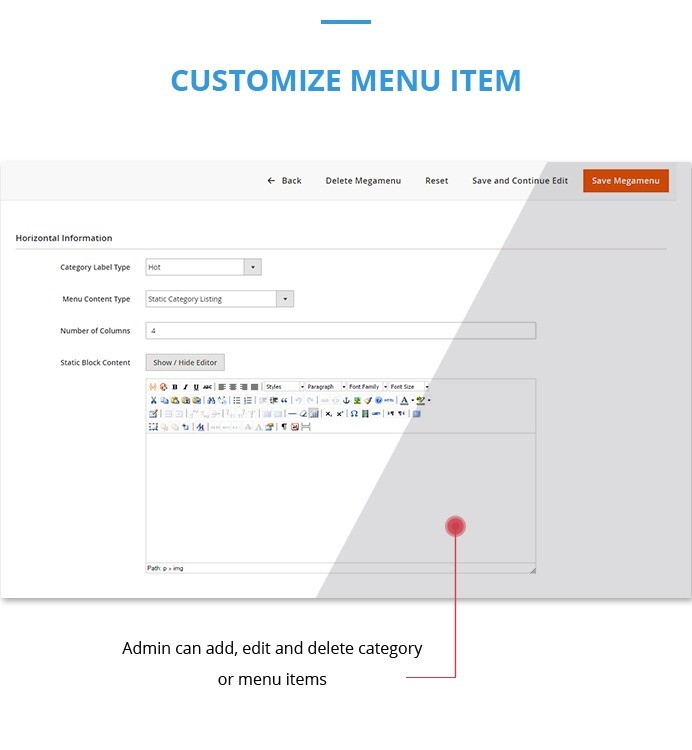 Admin can add, edit and delete category or menu items, besides, they can arrange anything on the menu with just a few clicks and choose what they want to display. It means that you can do whatever you want with your website to make it suitable for your customers. Custom block. You can display custom block in menu content types such as default category listing, static category listing, product listing, and content. Especially, you can create custom block right in menu content type setting area side, after that option to hide or show blocks. The product on the menu/ Label for product/ Add to cart button in the menu. With this amazing function you can show some special products like Hot, New or Sale on your menu, beside it we give you function that can add labels to highlight products in the product listing menu. Especially, you can add this product to cart by “add to cart” button. So, your customers will be attracted right at first sight. 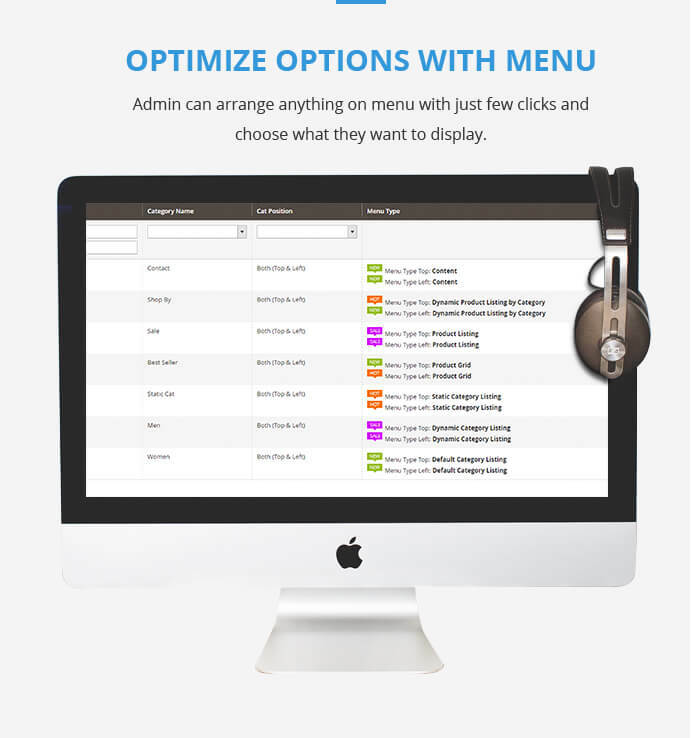 The reason why mega menu is preferred by most of the business owners and consumers is it could enhance usability. In this article, from the very subjective point of view, I will give you the usability advantages of mega menu in general and why Magento 2 Mega menu is the best choice for your e-commerce site. All options visible: If you visit some old websites, you will see that they still use traditional dropdown menu. The weakness of this kind of menu is hiding almost all options. If customers want to see, they have to hover the parent category. Hovering over many parent items to find an item, your customers will be crazy and leave immediately because of this frustration, especially if they do not keep the cursor and dropdown menu disappears, so terrible! With mega menu, that problem will be solved. Organizing options: Mega menu will help re-organize your visual options into very friendly and logical groups. If you use traditional menu, it will be actually dizzying if the numbers of options on your site are too large. Images and icons : Generally, mega menu comes with the icons that will quickly confirm for the visitor about the content of options, for example, Contact category will be illustrated by telephone or address book icon. Flexible menu layouts: There are three types of menu for you to choose: Horizontal, Vertical and both horizontal and Vertical. 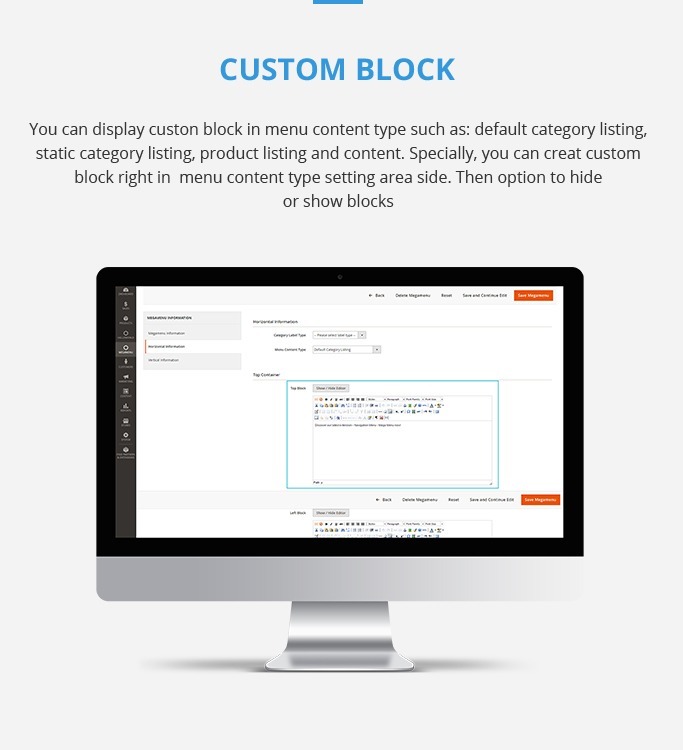 Block menu is allowed: it means that you can display custom block in menu content type depending on your demands such as static category listing, product listing and content or if you don’t like those types, you can create custom block right in menu content type setting area. Color setting: In backend, you can change the element color in right dropdown menu easily. 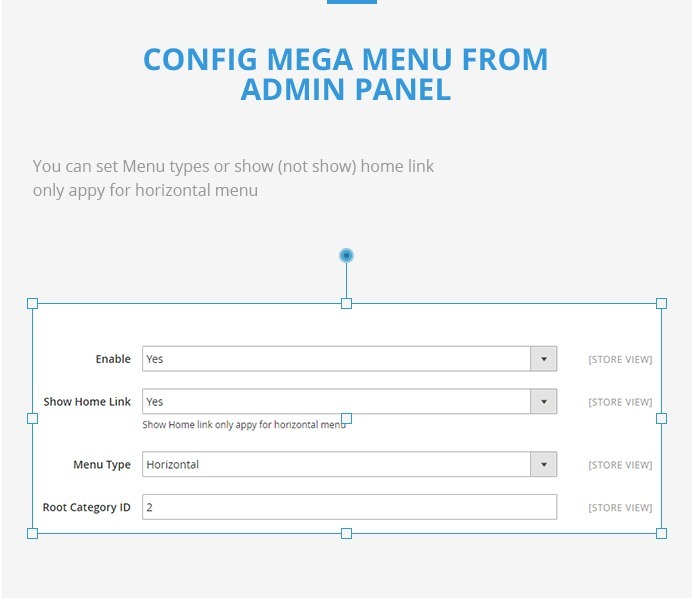 Config mega menu from admin panel: You can set Menu types or show (not show) home link only apply for horizontal menu. Is the new version of the Mega Menu ADA Accessible? i.e. can it be navigated via the keyboard? KEEP IT SHORT AND SIMPLE! Yup, always remind yourself. The trend these days is to be very selective as a navigation with a huge text is a super flop idea that can do more harm than benefits. However, users might be confused that if a mega menu is too simple, will it provide enough function? Don’t worry, Magento 2 mega menu extension packs the complex things in simple packing that looks more appealing. This extension ensures that the navigation is easy to understand for a user regardless of that website is for retailer or marketplace model. 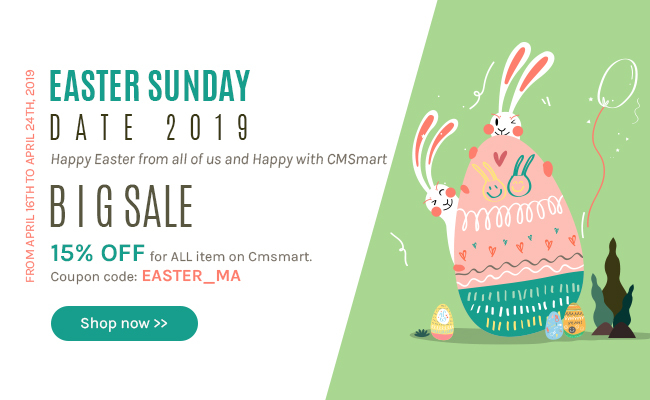 Our purpose when creating Magento 2 mega menu is making navigation simple and powerful enough to drive the customers to the respective product. Responsive in navigation will bring you the higher level of professional web owner. Based on the rules of the flexibility of layouts, images, and the main aim is to build web pages that can detect the visitor’s screen size and change the layout accordingly, our Magento 2 mega menu was released with so strongly responsive design. We understand that the giant Google has been rating the sites at a higher range if they are mobile friendly, so responsive design is always prioritized. That customers can use your mega menu or not will depend a lot on the language used. Although English is the standard, not all people can use it, the language used should be familiar to the user to get the most benefits. That’s the reason why Magento 2 mega menu comes with multi languages supported. We want customers to feel comfortable when they use mother tongue while visiting the website. Horizontal navigation seems to be more balanced, also easy to place while today vertical navigation is much more popular especially on e-commerce sites as it helps a person to finds products/services easily in a catalog and avoids much clutter. 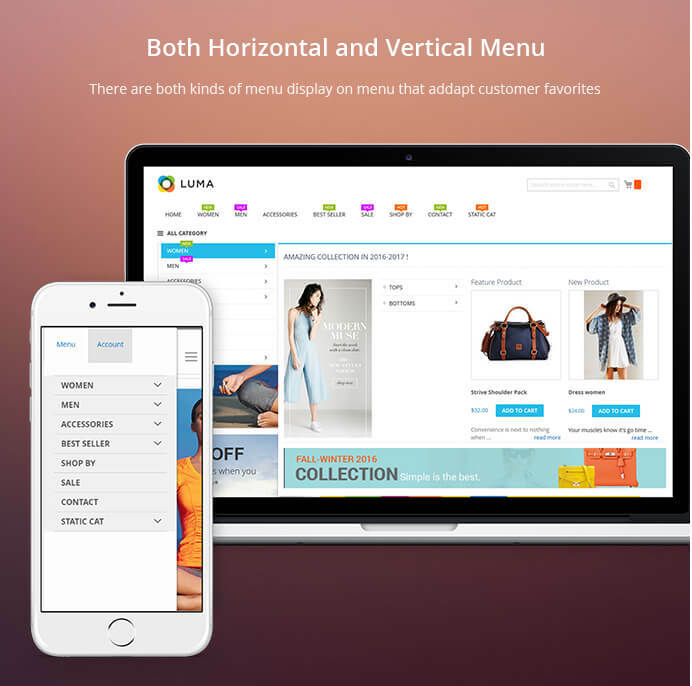 Magento 2 mega menu offers you three solutions: horizontal menu, vertical menu, and the mix of horizontal and vertical. Let’s make your web navigation be like a clear map that drives the users towards internal pages to explore your website. The consistency will build the trust among your visitors. Magento 2 mega menu follow the rules for consistent navigation that are nice and clean navigation and all items on the menu are linked to internal pages they meant to be. We also add secondary navigation and it also follows the rule applied before because regardless of anything you create, the final purpose is still improving UX. 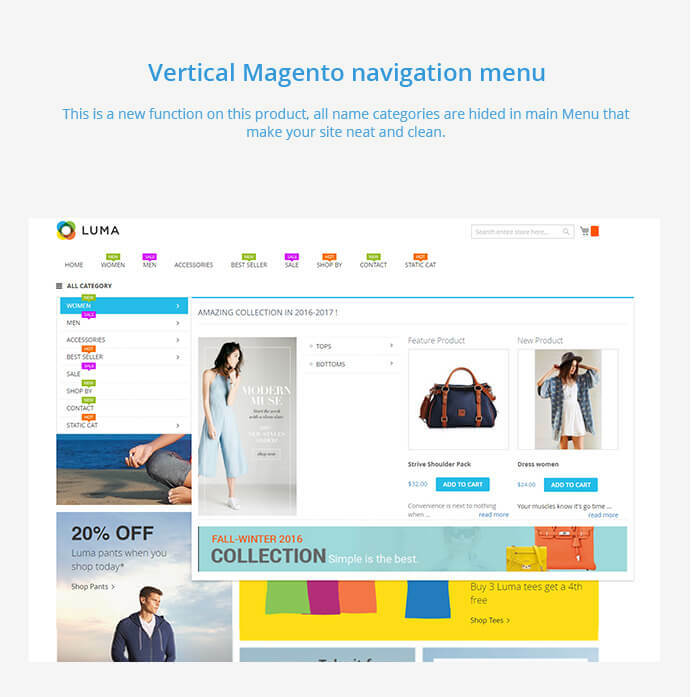 Magento 2 mega menu extension makes your web navigation become user-friendly and convenient. Regardless of which industry do you belong to, navigation still plays an important role in improving UX.